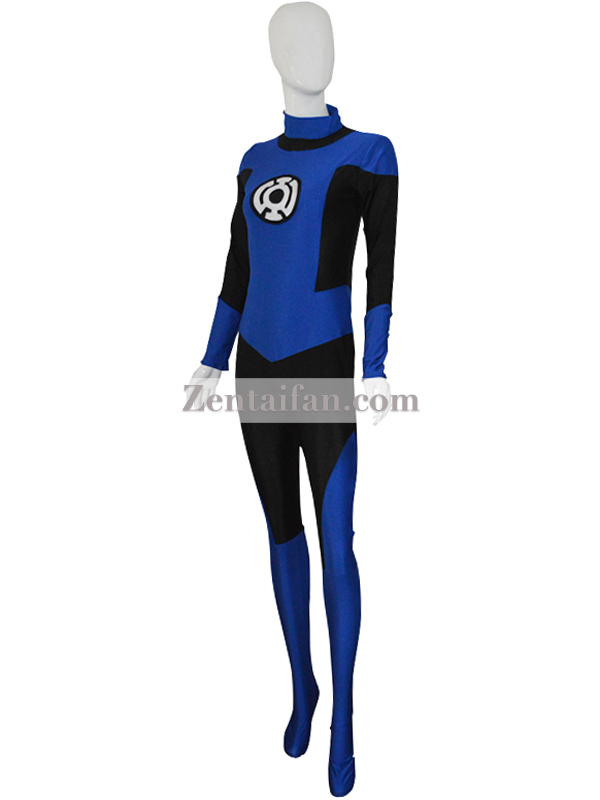 This is a special version of the Blue Lantern costume. 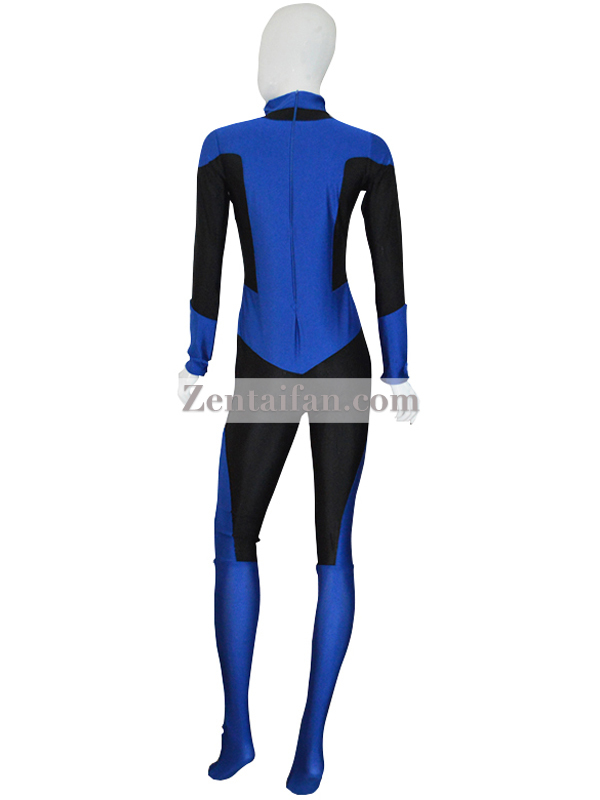 The costume is made of all spandex/ lycra. Zipper is added on the back. No hood and gloves on the costume, but the feet is attached on the costume.